Osep Armagan, MD, is board-certified in Orthopaedic Surgery. He is available for Independent Medical Evaluations (IMEs) and Expert Witness Engagements at several locations throughout Los Angeles County and Ventura County. He specializes in foot, ankle, knee and shoulder disorders as well as traumatic injuries to upper and lower extremities. 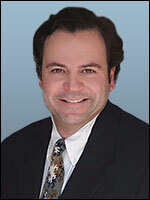 Dr. Osep Armagan has more than 20 years of experience in orthopedic surgery. He received his bachelors degree from University of Wisconsin-Milwaukee and earned his Doctor of Medicine at Medical College of Wisconsin. He went on to do his Internship and Residency in Orthopaedic Surgery at University of Illinois, Chicago College of Medicine. His fellowship in Arthroscopic and Reconstructive Knee and Shoulder Surgery was completed at Medical College of Pennsylvania and Hahnemann University of Sports Medicine, and his fellowship in Foot and Ankle Surgery was completed at Medical College of Wisconsin. Dr. Armagan currently has a private practice in Thousand Oaks, CA. He is affiliated with Glendale Adventist Medical Center and Los Robles Hospital and Medical Center. He is board-certified with the American Board of Orthopaedic Surgeons and is a Diplomate of the National Board of Medical Examiners. His memberships include American Academy of Orthopaedic Surgeons, American Orthopaedic Foot and Ankle Society, Western Orthopaedic Association, California Orthopedic Association, and Ventura County Medical Society. He speaks Armenian and Spanish.